Yerba Buena bandleader and guitarist Andrs Levin wasn’t obligated to brave the social chaos of Lagos, Nigeria, to produce the 2002 AIDS tribute disc that lends this all-star salute its name. That he did says much about his dedication to the project’s spirit. 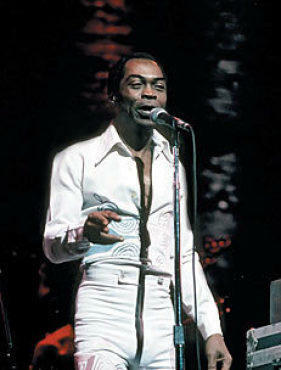 The credits on the 75-minute album reveal that Levin’s trip to Kalakuta, the late Afrobeat hell-raiser Fela Anikulapo Kuti’s famed compound, netted exactly 32 seconds of music for the compilation—hardly enough reason, it would seem, to endure the power outages and web of potential treachery awaiting anyone visiting the Nigerian megacity-shantytown.